This little manual is worth its weight in gold. 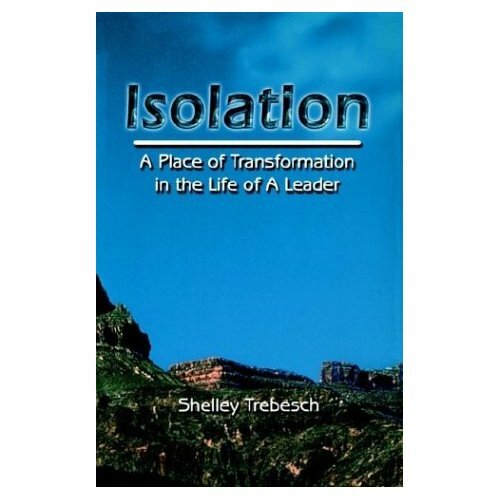 Almost every leader at one time or another will face being set aside from ministry—the basic notion of isolation. This booklet shows what leaders face when set aside from ministry for various reasons like sickness, persecution, discipline, crises, self-choice, etc. The manual gives patterns and proper attitudes to face these experiences as leaders develop toward maturity in their leadership. Isolation is one of the deep processing items which all leaders should life schedule for. This manual has been a top seller and has been used as a very important supplemental text in courses dealing with life long development. It describes what is probably the most common deep processing a leader faces. Dr. Trebesh is a missionary training and developing leaders in several Asian countries. She did her doctoral study with Dr. Clinton.